After Jennifer Lopez Guess again votes for a testimonial with Latin roots. For its spring 2019 campaign the US denim and fashion brand features singer and multiple Grammy winner José Álvaro Osorio Balvin–better known as J Balvin. Born in Medellín, Colombia, Balvin belongs to the second Reggaetón revolution making Latin American music popular around the globe. 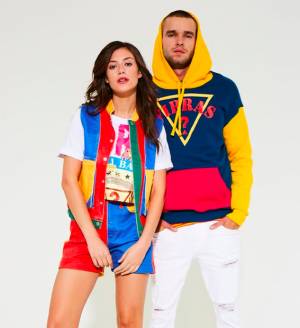 More than just choosing Balvin being the face of the campaign under the artistic lead of Paul Marciano, Guess’ chief creative officer and shot by fashion photographer Tatiana Gerusova, Guess also created a special “Guess Vibras” capsule collection being part of the merchandise range of Balvin’s “Vibras” tour.